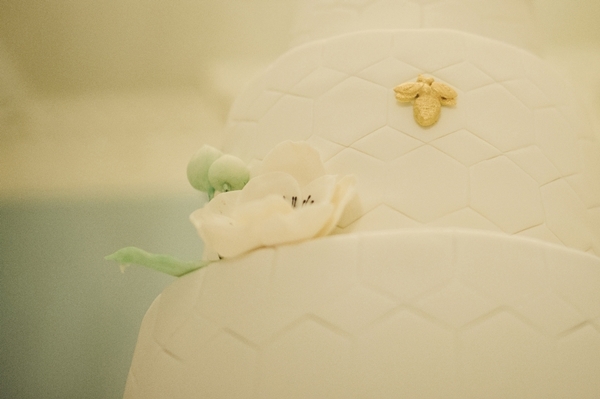 Our last wedding cake of 2013 was this amazing hexagon honeycomb three tier for Clare and Phil’s big day. 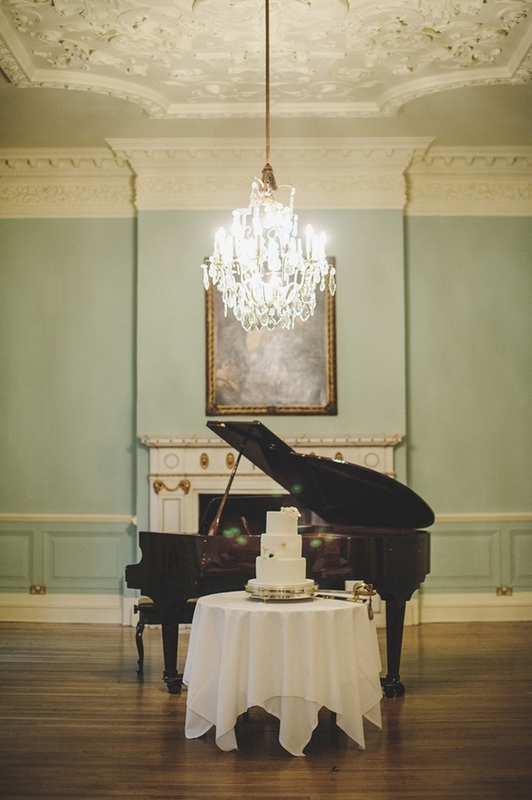 This was my first visit to the venue in Mayfair, Dartmouth House. It’s worth a look, just for their gorgeous staircase! They also have the friendliest and most attentive staff I’ve come across, hands down. The original cake design is by Erin, the sweet genius behind the Wild Orchid Baking Company in New Hampshire, US. 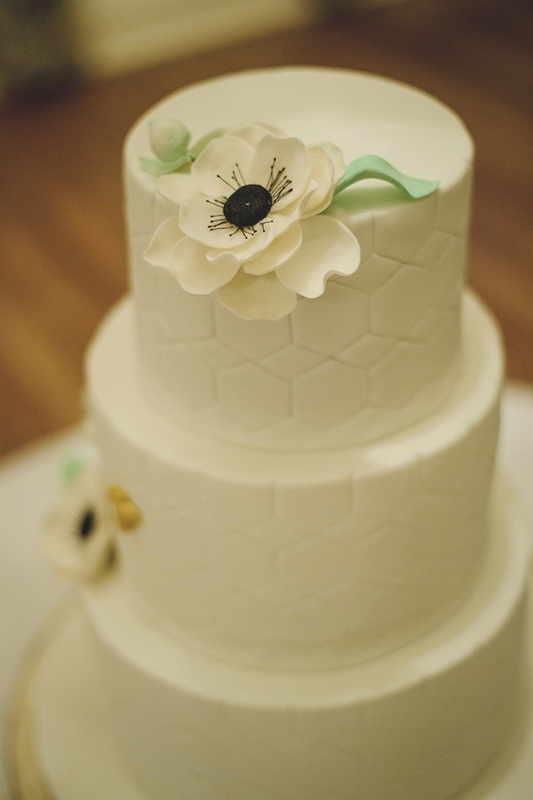 She was happy for me to use her design and add some wonderful sugar anemones as the statement flower. The gilded bee was probably my favourite bit, and tied in with the couples theme beautifully. As always, I take my own photographs. Especially now as I’ve managed to shake the embarrassment of setting up my tripod in the middle of set-up, super wary of any pro photographer stalking around. I always attempt to get the photographers details on the day, it doesn’t always work but this time it was the fine art wedding photographer Rik Pennington, so I had to ask. I’m hoping he’ll blog the whole thing one day, but he very kindly sent me a selection of photos he’d taken, including an emotional shot after the cake was cut *swoon*. Just take a look at these and I’ll say no more. A really unusual and stylish cake! A modern and subtle twist with the geometric shapes. ADORE! This is awesome! 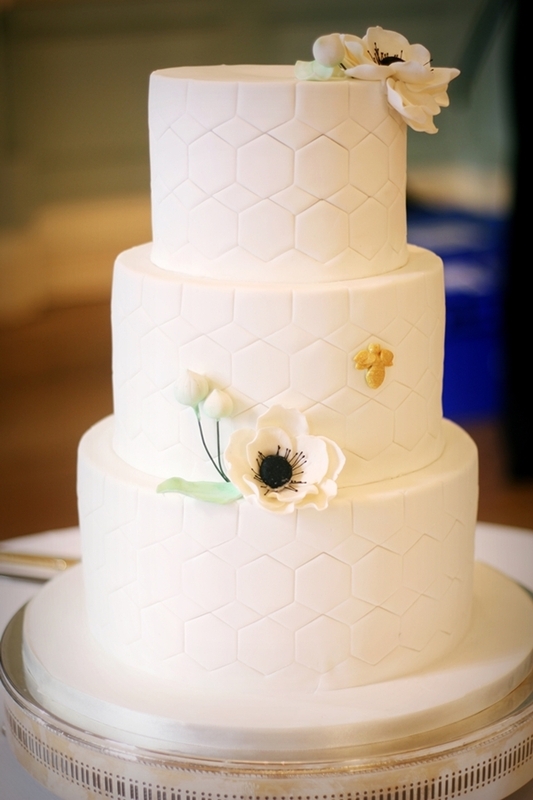 Simple yet the geometric design makes it so stylish – a very cool cake design indeed.